When your family member is suffering from an illness, you try to help him in best possible way and then the first choice is to take him to an allopathic doctor. However when you don’t get the desired result, your illness recur again after initial relief, and you are dissatisfied with allopathic medicines you try to search for an alternative solution, and then you stumble on the word homeopathy. Meaning your child has asthma, you take him to a regular doctor, he gives him medicines, his asthma is better temporarily, but again after some time the asthma recurs again. Now the doctor suggests him to avoid cold things, avoid various food items, etc. and you are worried why doesn’t the asthma gets cured. That’s the time someone tell you to try homeopathy for permanent cure. In today’s fast paced world, more and more people are suffering from serious and complicated diseases. Inspite of tremendous success of modern medicine, human being is still suffering from incurable diseases. A simple disease like allergy is still remains to be completely cured by modern medicines. What maximum is achieved by modern medicines is “controlling” of the diseases. Hence we term modern medicine (allopathy) as “Controllo-pathy”. Yes, it is possible with Homeopathy. Even if you don’t believe its worthwhile to give a try to this fantastic science. The system of Homeopathy is being practiced for more than two centuries with remedies even for the maladies considered to be incurable with the conventional system of medicine. We have positive results for cases from simple cold and cough to cancers. Yet there are questions about the mystical cures being provided by this time tested system of medicine. As the system of homeopathy is fast gaining ground, it is high time to take the lid off myths and reveal its mysteries in the larger interest of ailing mankind. Homeopathy is the art of healing par excellence. Homeopathy, derived from the Greek word homeos means “similar” and pathos, meaning “suffering”. Homeopathy is a scientific method of treatment which is based on the application of the law of similar. The father of Homeopathy, Dr. Hahnemann, who himself was an allopathic postgraduate, was frustrated with the then prevalent mode of treatment and felt a strong need for regeneration in medicine. He discovered this fantastic science and since then thousands of ailing patients are benefited with this system. In the great majority of cases, the fundamental cause of disease is the predisposition of the individual to be sick. The imbalance, which is the disease state, is in fact only the expression of this predisposition to be sick. With the right homeopathic remedy, the organism re-balances itself globally so that the tendency to be sick is greatly decreased. The homeopathic medicine can get at the root of your state and balance it, which manifests in a healing on all levels. 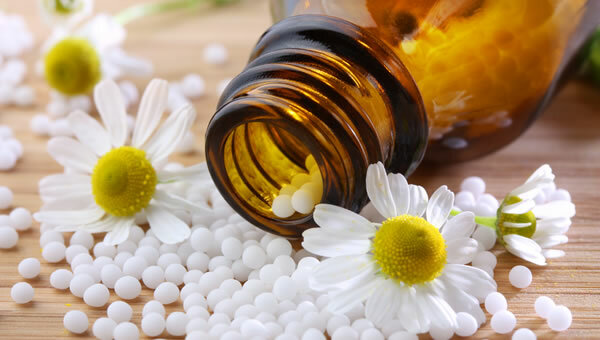 Homeopathy is a medical therapy that uses natural animal, vegetable and mineral substances to support the innate regenerative healing powers of the human body. Homeopathy recognizes the patient as a whole and considers both, the individual’s physical and psychological aspects as well as the hereditary predisposition, environmental stress and toxins, nutrition, lifestyle The right remedy triggers the healing response of our life force, our vital force within. It is this vital force within that heals the organism. How do homeopathic medicines act? Why long histories are taken? If 10 children go to a birthday party and have ice cream, cakes and junk foods, do all of them fall sick?? Some might suffer from running nose (colds), some might suffer from stomach disorder (loose stools and vomiting), some might suffer from wheezing while some don’t get affected at all. Why is this difference? The difference lies in their individual immunity and genetic predispositions. The stimulus is same but the reactions are different. Homeopathy scores point over other systems as a homeopathic physician takes a detailed history and gives every child a different homeopathic medicine, which would take care of child’s genetic predisposition. Hence homeopathic medicines will not only cure the child, but would also strengthen the immunity so that he does not fall sick again. To eradicate the disease from roots, we need to rectify the defects in the genetic code of the child. To rectify first we need to understand the genetic code and the easiest way to understand the genetic code is to understand the childs nature, his likings, disliking, etc… and hence when a child comes to us we need to understand the child nature in minutest way.